Zoho CRM software gives businesses small and large a simple platform for management of their customer support, sales, marketing and inventory. The features for the lower tier service plans offers a more limited selection on par with the needs of a smaller business, while an enterprise plan comes will greatly customizable options that should attract massive companies hoping to streamline their customer relations. Zoho is a major name in CRM, and a genuine competitor to industry-leader Salesforce. Zoho CRM’s strengths include comprehensive email marketing tools, smart integration options for Google G-Suite, and support for 20 languages. All of this makes the CRM service a good fit for businesses operating internationally. Other supported integrations include Microsoft Outlook, QuickBooks and MailChimp. The features of Zoho CRM can largely broken down into four of the service plans offered by the company: Free, Standard, Professional, and Enterprise. While a fifth plan, Ultimate, offers expanded benefits, they mostly come in the form of a greater volume or higher quality of a previously available feature, such as enhanced data storage options, or a dedicated data cluster. This review discusses the features found in the first four plans, explaining which business needs each tier best satisfies. 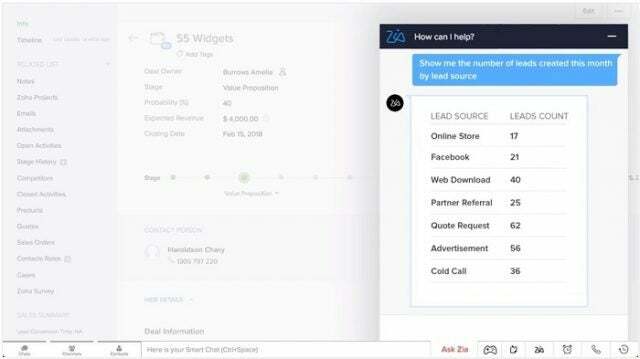 The Zoho CRM Plus plan is a bundled plan that includes a handful of additional support products alongside the Enterprise version of the company’s CRM platform: Subscribers will be able to use Campaigns, Desk, Social, SalesIQ, Survey, Reports, Motivator, and Projects in addition to the main CRM. Businesses that begin with a Zoho CRM plan may chose to upgrade to CRM Plus as their business expands in order to keep all of their needed operations and data on a single platform. First, here’s our overview of Zoho CRM’s features and pricing plans alongside those of its main competitors. 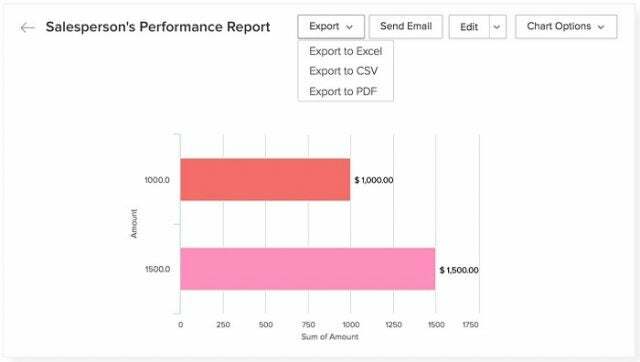 The free plan offers limited functionality for reports, analytics, and workflow management. It gives you a taste of the service, but don’t be fooled by the laundry list of features below. 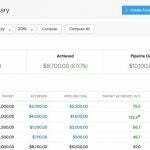 The lack of advanced options and integrations makes this plan unlikely to keep a business happy for long, even if they’re serving relatively few clients. 2 roles — This refers to the organizational hierarchy: Roles may have certain restrictions or greater clearance. Since the Free plan lets clients interact with a broad range of basic CRM tools, it’s a good option for businesses that are interested in a paying plan for Zoho CRM, and want to dip their toe in the water first. 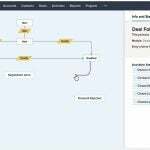 The Support plan’s additional features make it a functional plan for small businesses that don’t have the client base to justify any deeply data-driven features. Under the Professional plan, options such as raft of inventory management and customer support features open up for the first time. 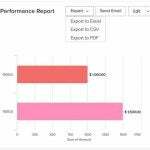 This plan also offers some impressive support options, including a dedicated customer relationship manager, though this support plan comes at an additional cost. 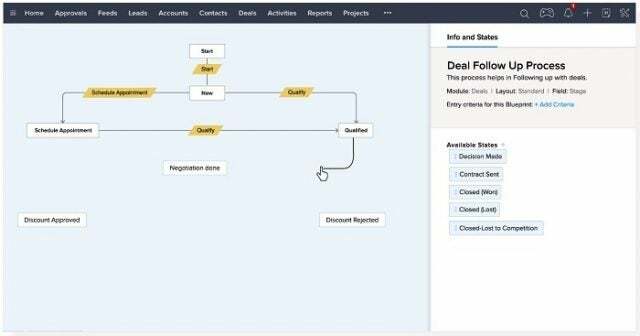 Active Blueprints — build workflow charts called “Blueprints” that use drag-and-drop elements to create a customized, easy-to-follow process. Capped at 3 per module. The Professional plan is best for businesses with a large potential audience that they need to better connect with, from capturing additional leads through social media channels to handling invoices. The expanded analytics options make Enterprise the most effective plan to streamline operations across a large corporation and capitalize on any previously lost value found in customer data. Need to know more about Zoho CRM Plus, the end-to-end service plan? Watch this quick overview, which explains why the bundled plan is so useful: Because it follows a customer across each stage of their lifecycle, meeting them where they are in order to keep customer contentment steady. Zoho offers 24/7 phone support to paying customers in ten countries: US, UK, Australia, Germany, Sweden, Italy, Netherlands, Spain, France, and India. They also offer a searchable online knowledge base with user guides, ebooks, videos, FAQs, and documentation, as well as a community forum of users. Three-day in-person training sessions are available in select cities internationally on a rolling basis. Classes located in the United States start at $799 for an individual, or $650 each for a team of three or more. A 15-day free trial of Zoho CRM is available with no credit card requirement, and a one-hour web conference demo is available upon request. The Free plan is, as you might imagine, free. The Standard plan costs $12/user/month, the Professional plan costs $20/user/month, and the Enterprise plan costs $35/user/month. Premium support options are available for the Professional and Enterprise plans at an additional 20% of their license fees. A final service plan, Ultimate, costs $100/user/month. Its subscribers will enjoy dedicated benefits including a database cluster and enhanced storage. They’ll also have access to automation suggestions, data enrichment and free premium support service. The Zoho CRM Plus plan bundle costs $50/user/month, and includes Zoho’s Campaigns, Desk, Social, SalesIQ, Survey, Reports, Motivator, and Projects services in addition to the Enterprise CRM plan. 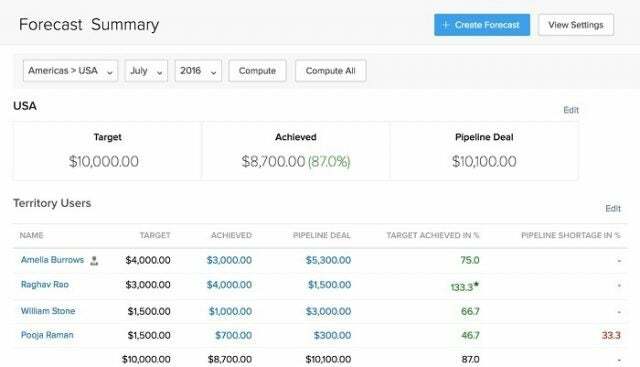 At just another $15/user/month beyond the CRM Enterprise platform, it’s an attractive option for companies looking for an end-to-end business management software. All plans are billed annually and include any applicable taxes; month-to-month versions of the Standard, Professional, and Enterprise plans cost $18, $30, and $45 per user per month, respectively. The Ultimate plan is not available on a monthly basis. We recommend Zoho CRM for an entrepreneur or small business in need of a flexible way to manage their customer relations, and we recommend it for a larger business located across multiple languages, given the service’s language support and internationally based support team.